Plans for Roy's 2012 Tea Tour to China are finalized! The tour departs on April 16, 2012, and visits Shanghai, Hangzhou, Fuzhou, Wu Yi Shan, and Beijing, before returning on April 28. Roy will lead guests into increasingly rare corners of China for an intimate and unparalleled perspective on the wisdom and tradition of tea culture. This year's tour will focus on oolong and green tea producing regions, as Roy leverages his nearly 30 years of expertise to bring you a first-hand, insider experience of tea the likes of are found nowhere else. Tea-oriented destinations include three days in the Hangzhou region, where we'll pick and process green tea and enjoy the incomparable pleasure of drinking newly-made tea while drifting in a Dragon Boat on tranquil West Lake, relaxing as musicians play Chinese classical music. Next the scene will shift to Fujian with a stopover in the capital, Fuzhou. Here, the tour will visit the province's premier Buddhist temple, Yongquan Si, where we will savor a vegetarian feast in the temple's fine restaurant. 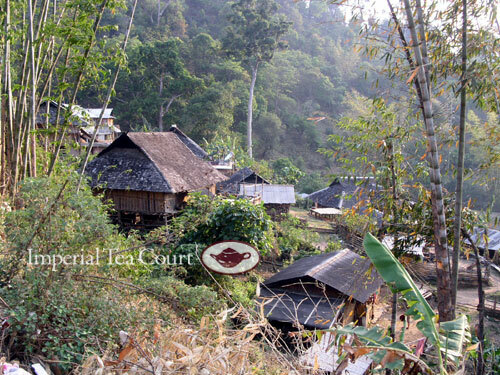 The trip climaxes in Wu Yi Shan, home of the renowned oolong varieties known as yan cha. We'll hike through tea fields and rice paddies to reach a rustic tea farm whose homestead incorporates a centuries-old temple. There we'll sip farm-fresh oolong tea by the bowl, and fortify ourselves with home-cooked meals of just-harvested ingredients, before climbing up to the tea fields to pick yan cha. Later we'll help bring our tea down the mountain to the processing facility, where Roy will give a tutorial in producing oolong. Keep an eye on the blog throughout April for live updates from China.